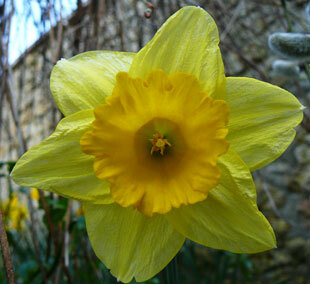 peaking in February and March. In mild winters flowering may begin in December. 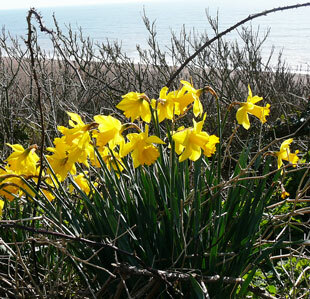 Naturalised Daffodils are found throughout the country. and roadsides for many years. in woodlands, wasteland and along country paths. Flowers are up to 8cm across and 3-merous. 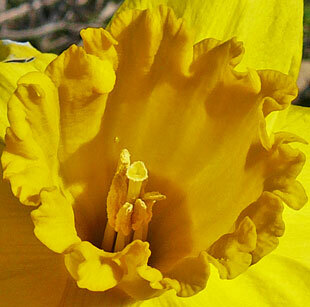 The petals and corona can be a variety of shades of yellow. There are 6 stamens and a 3-lobed stigma. 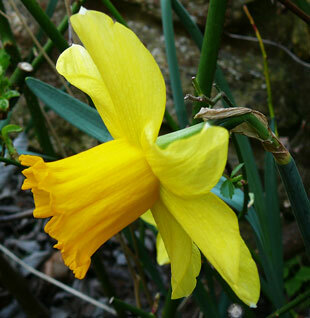 Wild Daffodil, which flowers in March.